Privilege Insurance launched in 1994 and is part of the Direct Line Group, which owns Direct Line and Churchill, and is underwritten by U K Insurance Limited. 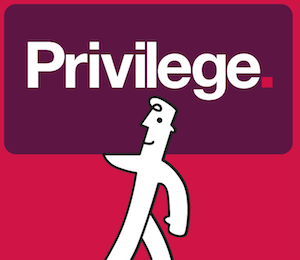 Unsurprisingly, Privilege's cover levels appear to be very similar to both Churchill and Direct Line. Have a look at our top 10 home insurance companies to see if Privilege made the list. Privilege has two levels of cover to choose from – standard Home Insurance and Platinum home insurance. Single items worth over £2,000 for standard Home Insurance or £4,000 for Platinum must be declared separately. You can set the excess level, which will affect the premium price. Excess for escape of water is £350 and for subsidence is £1,000. Customers have access to a 24-hour emergency helpline. Houses with 6 bedrooms or more, listed houses, houses built before 1760 and houses that are likely to cost more than £1m to rebuild are not eligible for an online quote from Privilege. However, cover may still be available for these properties over the phone. To see how the home insurance cover offered by Privilege compares to other providers, have a look at our guide to the best home insurance companies and the best contents insurance. Accidental damage, home emergency and matching set cover are all worth highlighting. Accidental damage can be useful because it covers your home or contents for accidents like breaking a window or pouring paint on a sofa, the sort of things that are easy to do but potentially expensive to fix. A home emergency policy offers free repairs (up to £500) for parts of your home you could not live without, such as your door lock or central heating. There are some limits and rules but it can be a handy service and it doesn't count as an insurance claim so it won't affect your premium. And matching sets and suites cover means Privilege will pay to replace a set of items if one is damaged. For example, if a few tiles in your bathroom are destroyed but the design has been discontinued you'll be able to claim to replace all the tiles with a new design. How much does Privilege home insurance cost? We've listed some average home insurance prices here. What do Privilege Insurance customer reviews say? On Reviews.co.uk, Privilege (as a company, not just its home insurance offer) scores 4.37 out of 5 stars, based on 339 reviews. Privilege has a rating of 1.7 out of 10, based on 66 reviews, on Trustpilot. What do Privilege Home Insurance reviews from the experts say? Independent financial researcher Defaqto has rated Privilege’s Platinum home insurance policy as 5 star and its standard home insurance policy as 4 star. A 5 Star rated policy has “an excellent product with a comprehensive range of features" and a 4 Star rated policy has “good level of features and benefits”. This article was independently written by Bought By Many. We were not paid to write it, but we may receive commission for any sales that result from you clicking on a link to one of our partners. "The cost monthly is affordable and the cover is adequate"